For 11 years we have been serving food close to our hearts, we have a different look at the art of preparing a meal and we would love you to join us. Our restaurant is not normal, neither is our offerings. Enjoy a space where you can relax and come for a glass of wine or taste home-cooked food with recipes passed down. At Zucchini we get excited about the artisanal things around food like hand rolled stone ground flour pasta, brioche burger buns baked everyday for our burgers, our own fruit trees’ ripe fruit picked and cooked into jams and marmalades to name just a few things we love doing. Our organic garden get love every month of the year to make sure we can supply fresh herbs and plant based foods like rocket for our pizzas, swiss-chard for our pies, kale for your fresh fruit juices & fresh coriander for our springbok burger and salads and where we can not grow we get from our local producers in the area. We have vervet monkeys that join us and you everyday for a meal, but be quick if they see you not enjoying your meal they might help you finish it. We have live music during Sunday lunches and we are open 365 days a year for breakfast and lunch and dinner on selected nights outside of season. Zucchini Restaurant and Pause Coffee Roastery are sister businesses and we share the same ideals about food, at Pause they bake no less than thirteen different cakes ranging from triple layered carrot cake with cream cheese covering to baked apple crumble served with cream with our famous Lemon Meringue currently our best seller, and who can forget Aiden’s baked cheese cake. Muffins and scone to baked treats are on offer daily with Wessel Kruger as our roast master of Pause Coffee and you will not be disappointed, sample micro producers in flow with this seasons newest beans. Zucchini’s offers hearty, tasty and uniquely made meals in a relaxed and comfortable environment and lends itself to great food, friendly and professional staff and leaves you with an overall enjoyable experience. Book your place to avoid disappointment! Zucchini is known for it's special intimate feel, this also counts for our functions. 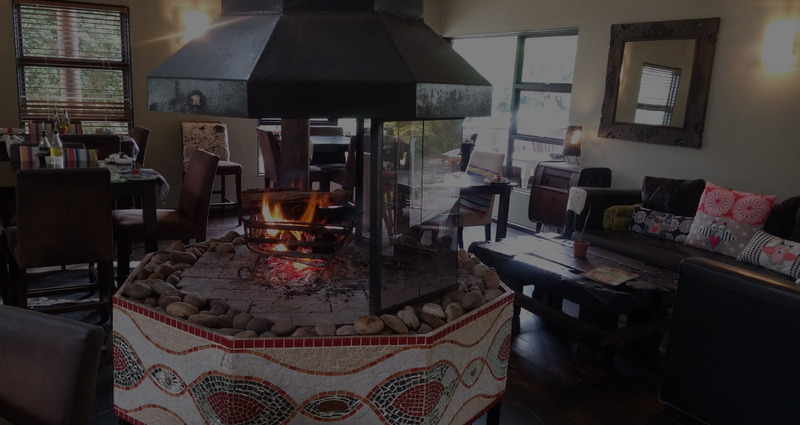 Why not invite your best friends and have a night filled with laughter and red wine next to the fireplace this winter. Phone us for a price package that suits your budget. 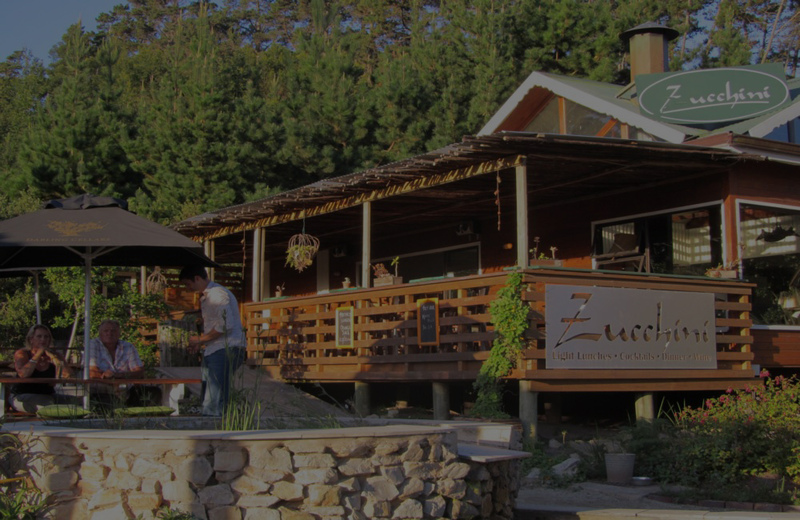 Zucchini Restaurant is a family restaurant located in the Timberlake Organic Village, Wilderness, Garden Route. Timberlake hosts a variety of shops to make even the thriftiest shopper open their wallet with delight.